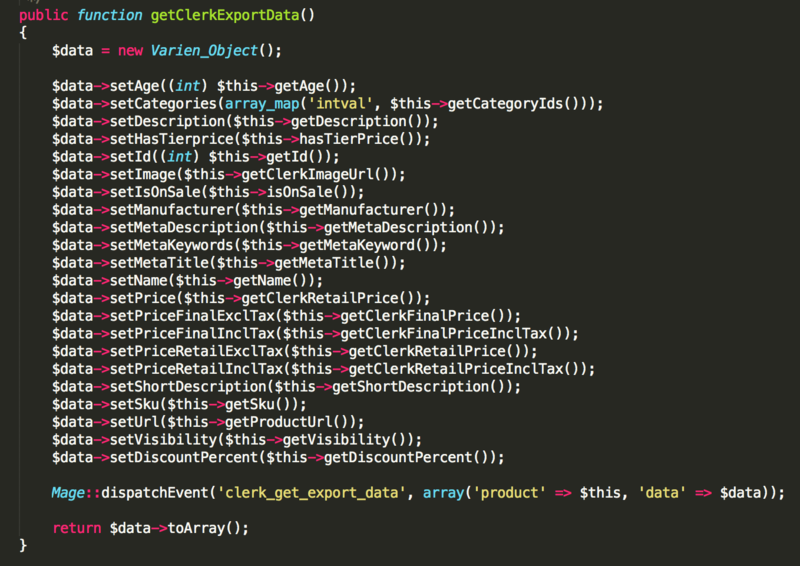 In Magento 1, you can add custom product attributes to the Clerk.io extension, if needed. If your attribute uses a standard Magento function, this can be implemented directly in Product.php. where setAttributeName defines the name you want it to have in Clerk.io, and insertMagentoLogic(); uses a Magento logic to pull a value from the product. In Productbase.php you can write advanced PHP functions to load custom attributes. After defining a function, you can include it in Product.php just like the existing functions.